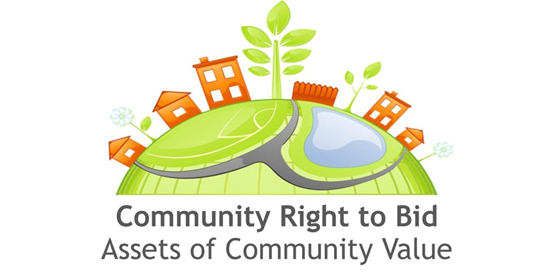 Assets of Community Value and the Right to Bid were introduced as part of the 2011 Localism Act and allow for the registration of assets which contribute to the well-being of a community with the Local Authority in our case Cheshire West and Chester Council. Assets can contribute to social well-being by providing sporting, cultural or recreational facilities and can include among other things libraries, community centres and halls, public houses, shops and green spaces which are open to the public. Things which cannot be nominated include residential properties, gardens and outbuildings and private property which currently does not contribute to social well-being even if it could do in the future. Any community group including a society, parish council, neighbourhood forum, not for profit organisation or a group of at least 21 individuals that is locally connected to the area can nominate an asset. If the nominated asset meets the criteria for registration this will provide the community with the ‘RIGHT to BID’ should the asset be put up for sale. If the asset is put up for sale the community has an initial 6 weeks to decide if it wants to pursue the right to bid and to express an interest in becoming potential bidders to buy the asset. The community then has an addition 4.5 weeks to pause the sales process to arrange funds to purchase the asset. At the end of the 6 month period the seller can then sell the asset. It should be noted the seller has no obligation to sell the community, the legislation provides the right to bid not the right to buy.